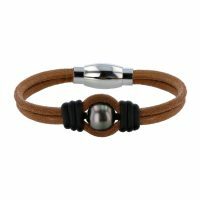 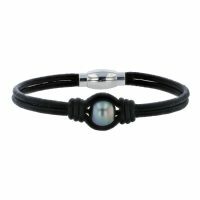 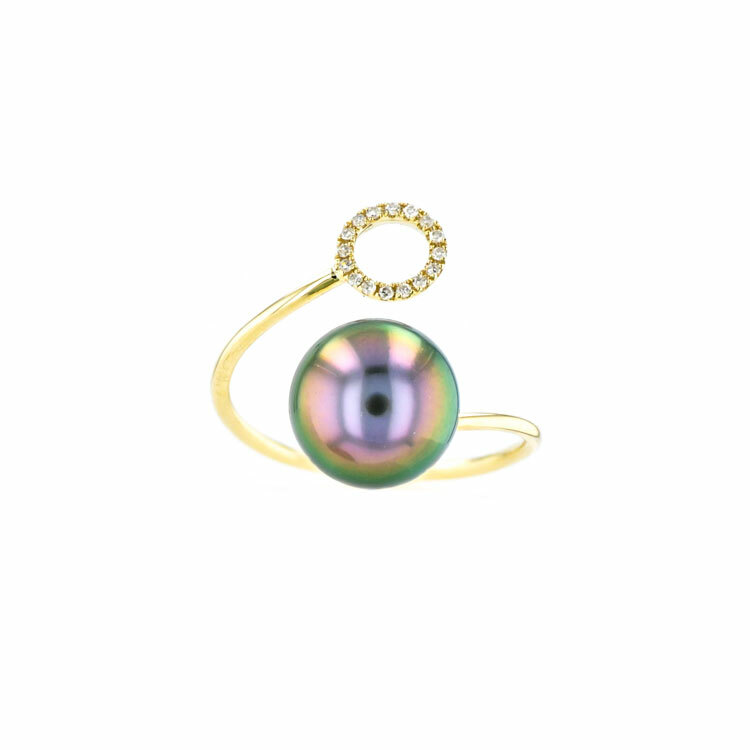 Hinerava’s Signature Circle Diamond ring features a striking white diamond circle, 0.05 carats, set in 14k yellow gold balanced with an exceptional Tahitian pearl of 9 mm. 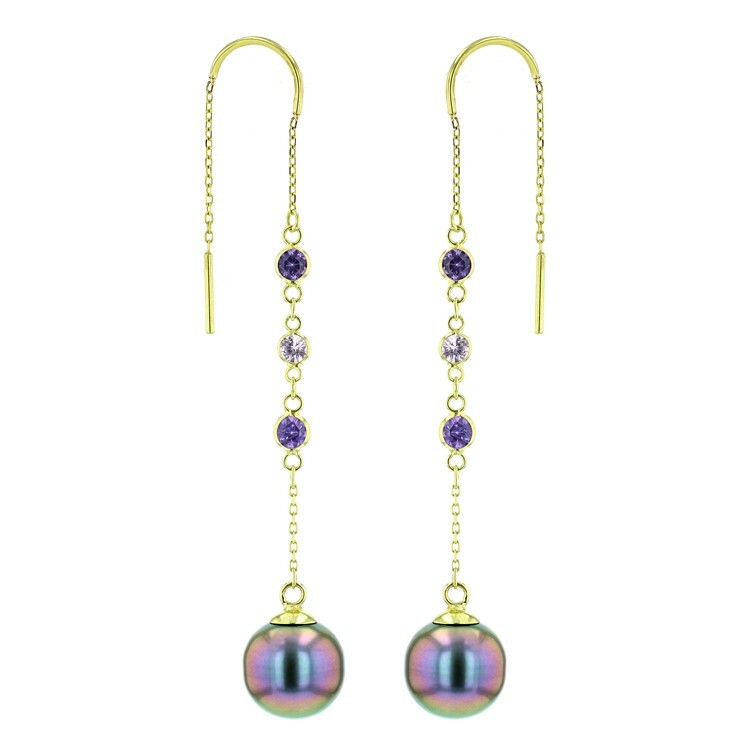 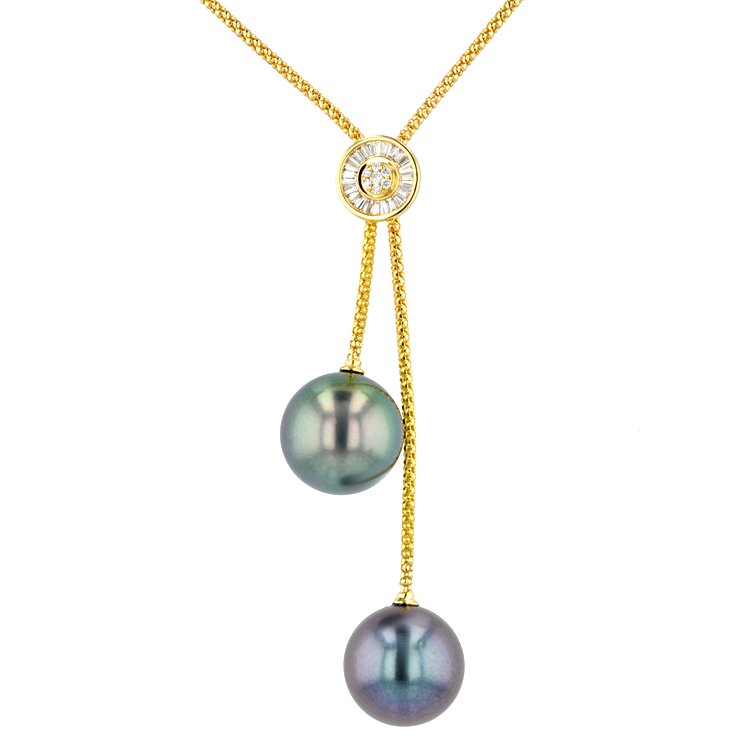 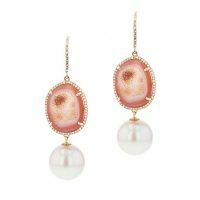 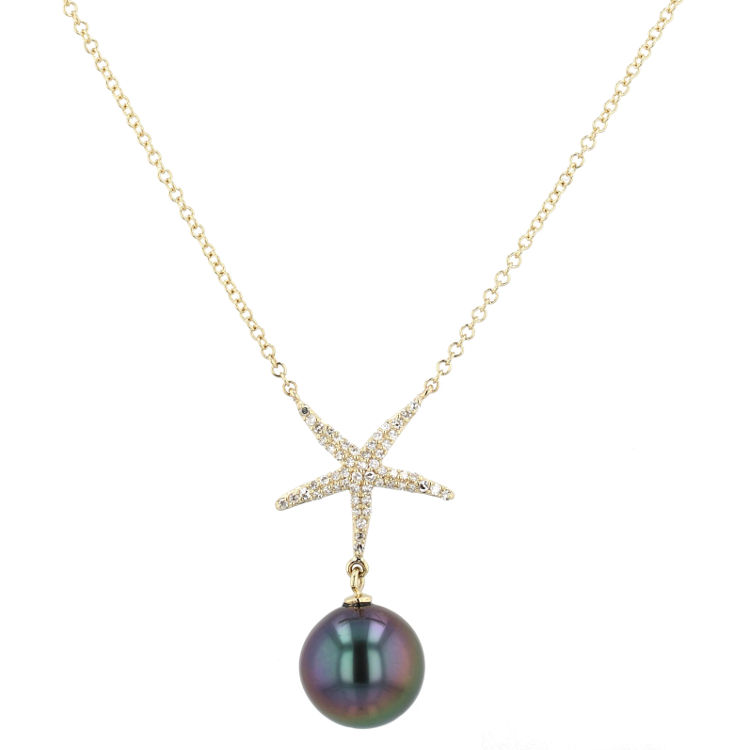 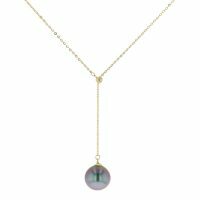 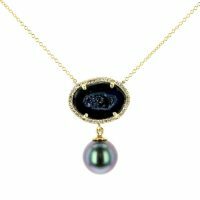 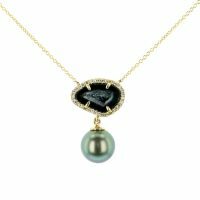 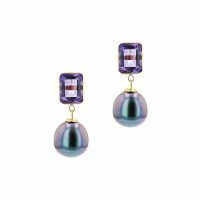 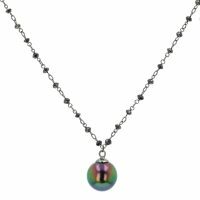 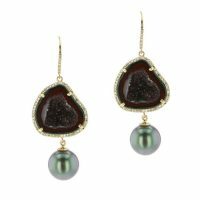 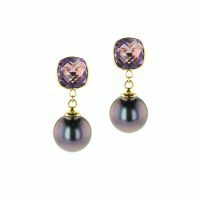 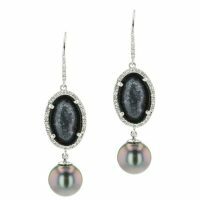 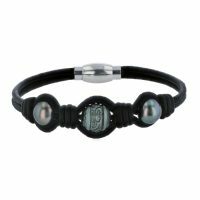 Hinerava's Poésie Collection features a Black Diamond & Tahitian Pearl Necklace, 6.96 carats, set in 18K rhodium coated gold and finished with an exceptional Tahitian pearl. 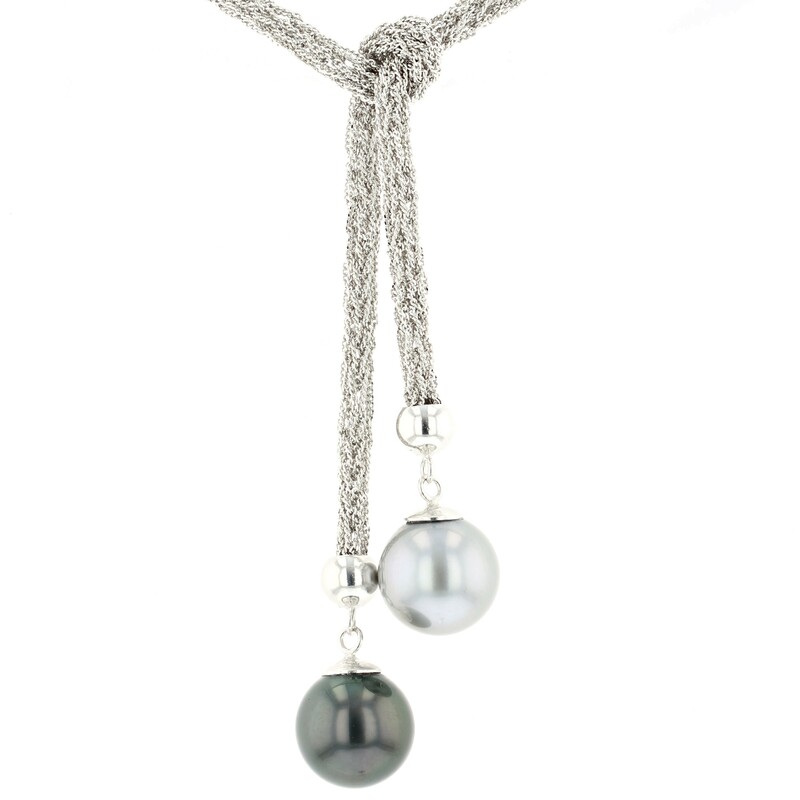 Length : 46 cm. 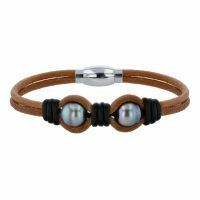 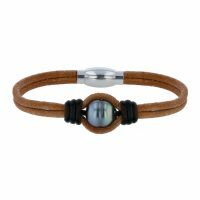 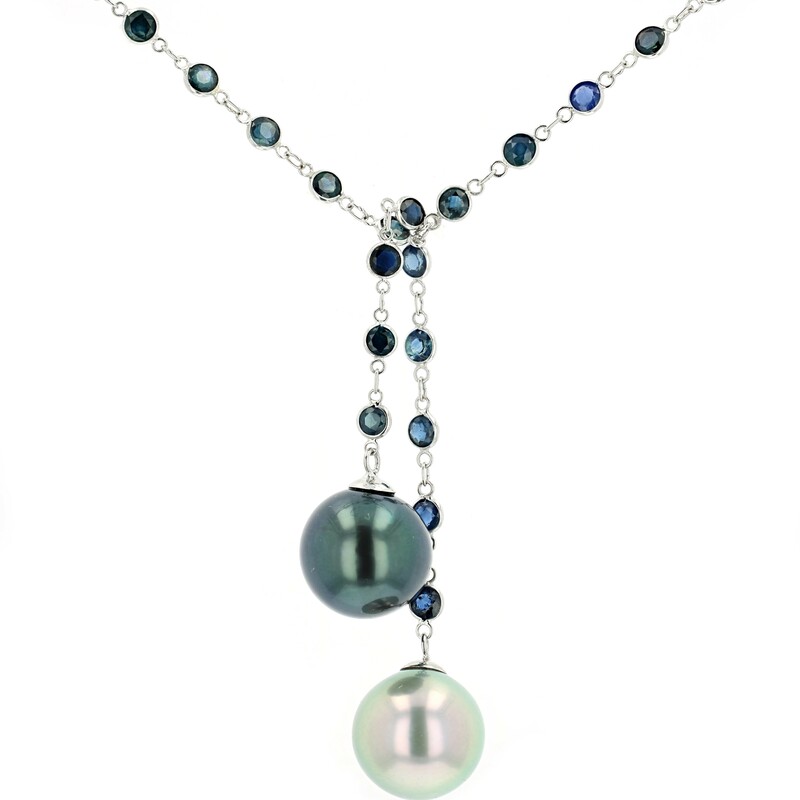 Hinerava's Poésie Collection features a Blue Sapphire Single Pearl Necklace, 6.96 carats, set in 18K white gold and finished with an exceptional Tahitian pearl. Length : 46 cm. 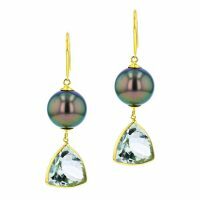 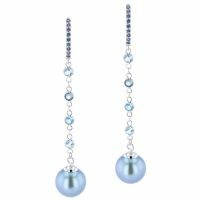 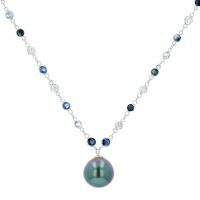 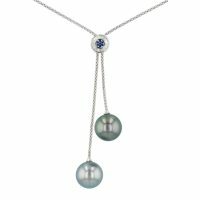 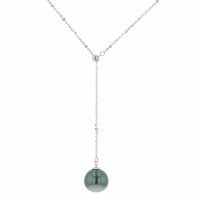 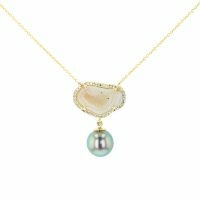 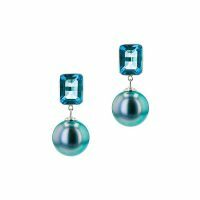 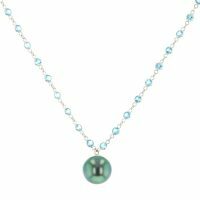 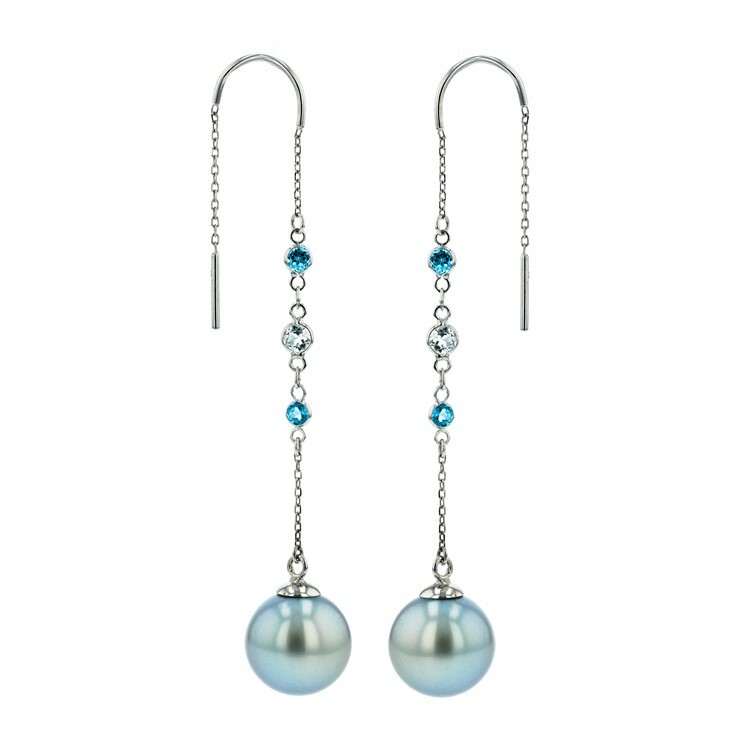 Hinerava's Poésie Collection features a Blue Topaz Single Pearl Necklace, 6.9 carats, set in 18K white gold and finished with an exceptional Tahitian pearl. 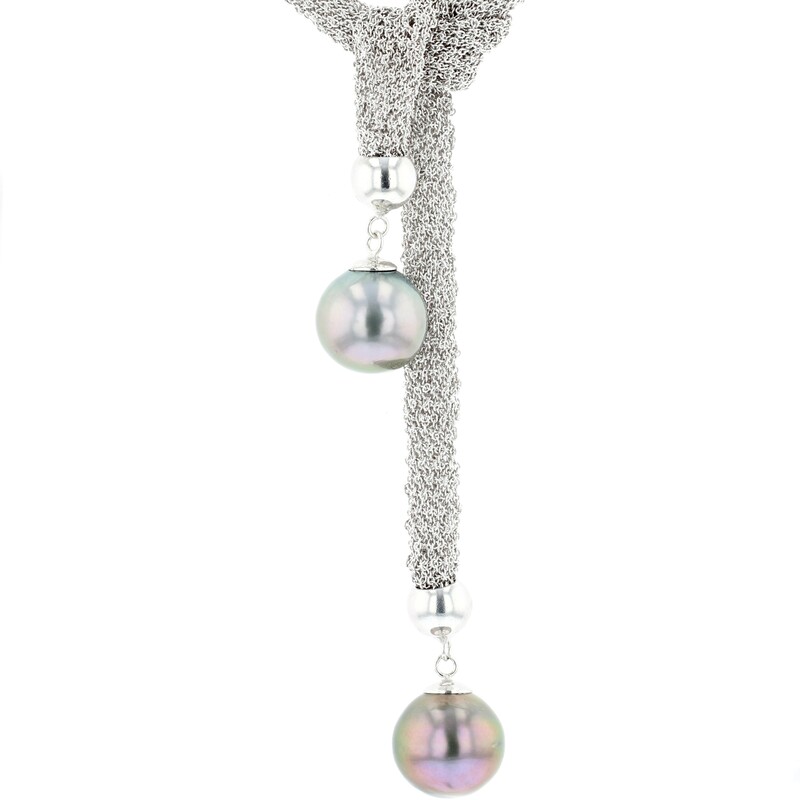 Length : 46 cm. 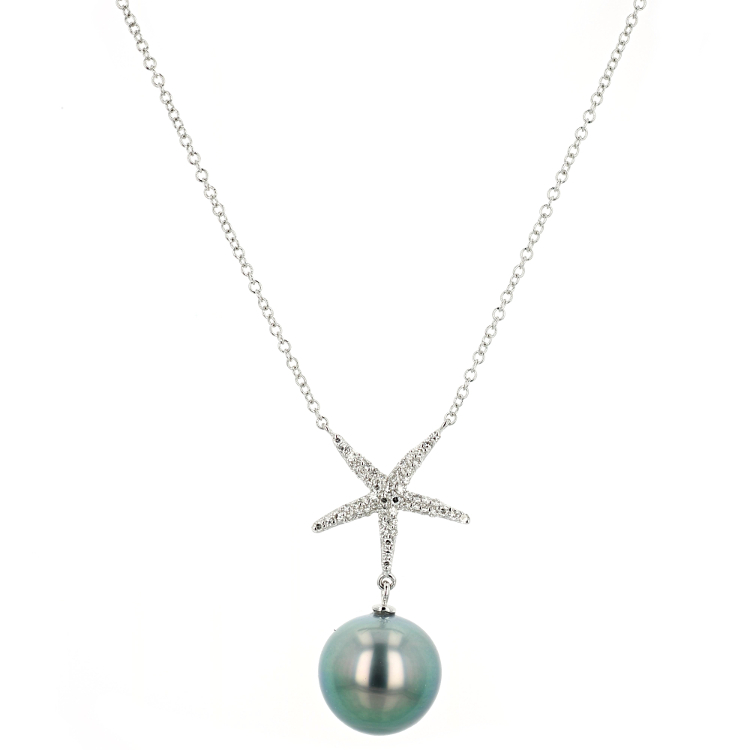 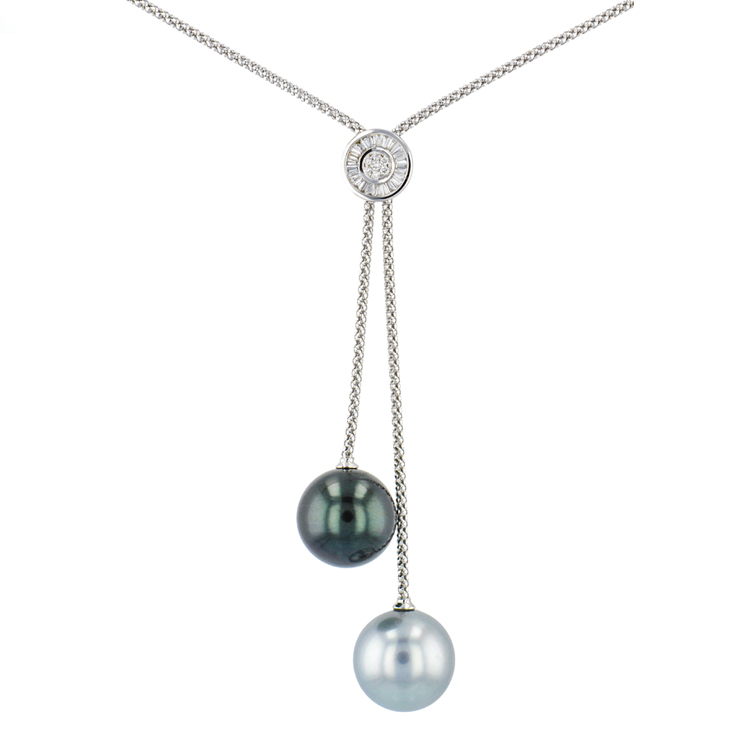 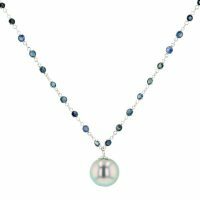 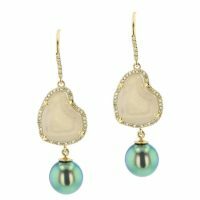 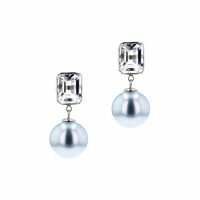 Hinerava's Poésie Collection features a Blue & White Sapphire Single Pearl Necklace, 6.96 carats, set in 18K white gold and finished with an exceptional Tahitian pearl. 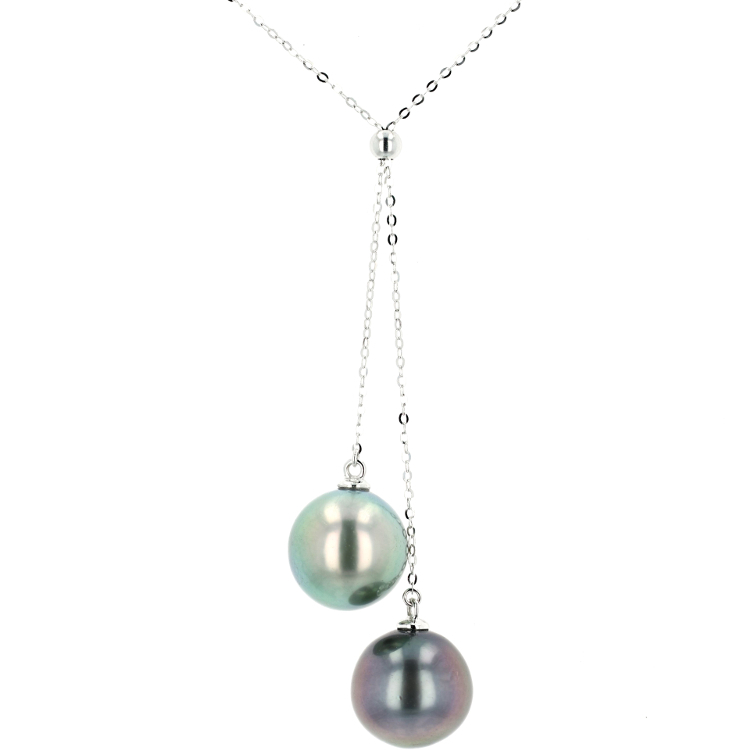 Length : 46 cm.